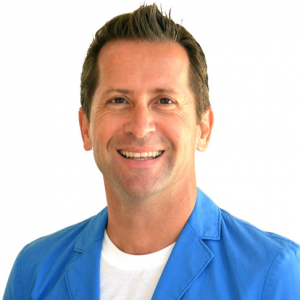 Miami Agent (MA): What has caused the rise of branded condos? Ross Milroy (RM): Developers are looking for ways to help their condo projects stand out. When looking to market a building as the epitome of luxury, it’s easy for them to convey this message by aligning with a lifestyle brand that has already established this reputation. 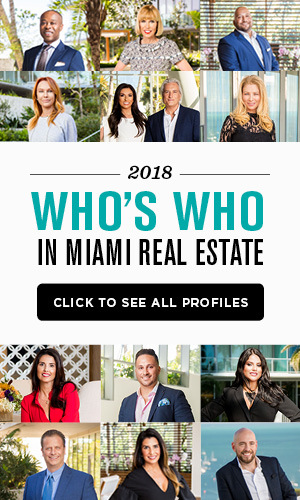 There are several branded condos opening in Miami that are affiliated with luxury consumer brands: The Porsche Design Tower is slated to open this summer; Fendi Chateau will open later this year; and Residences by Armani is scheduled for 2018. The other form of luxury branding is to affiliate with a time-tested luxury hotel group. These condo hotel projects – which include names like SLS Hotels, W Hotels, Setai, St. Regis and Ritz Carlton – have established themselves based on the services and amenities which they provide. MA: Do condos in branded towers often come with higher-end amenities or better prices? What are the benefits of selling branded condos for agents? RM: When a building first opens with a big name behind it, the units will always come with higher prices. Based on the fact that buyers and investors have shown a willingness to pay higher prices for these projects, it is clear that branded condos are a growing trend. The hotel groups that put their name on a building – or “fly their flag” as it’s sometimes called – have a very real need to make sure that the amenities and quality of the property are up to their standards and are consistent with their brand. In a majority of these cases, the hotel company lending its brand is retained to run the day-to-day operations that pertain to amenities, services and guest relations. On the other hand, lifestyle brands such as Porsche or Armani are not hoteliers that are poised to provide management services. The benefits that agents receive from these branded properties mostly come in the form of developing a successful marketing campaign around that brand. It is a lot easier to sell a branded condo project with the Porsche, Armani, Ritz Carlton or St. Regis name attached to it. It will appeal to a wider global audience that seeks these lifestyle brands. 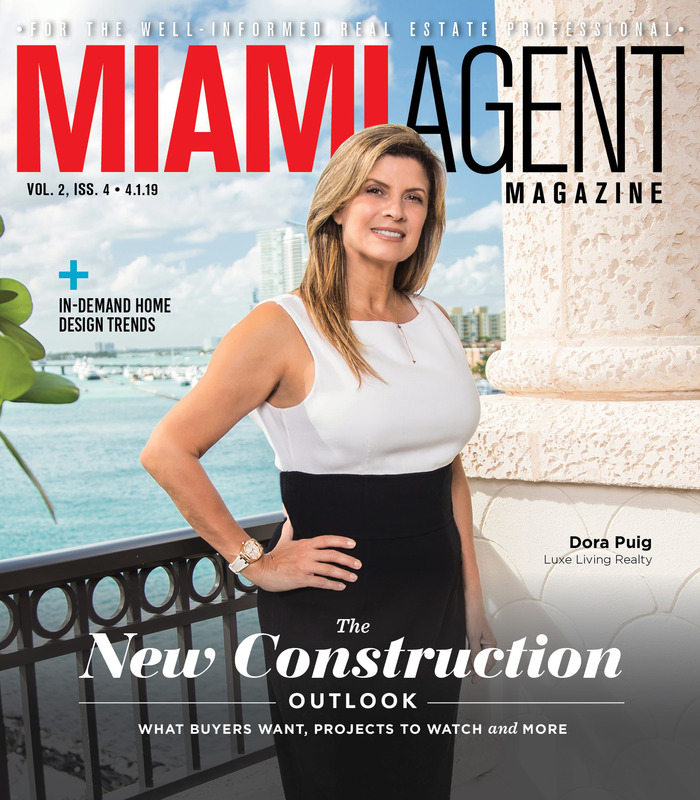 In a mature condo market like Miami’s, it is a lot easier to differentiate one’s development by brand rather than by amenities. Everyone has an infinity rooftop pool, spa services and wine cellar, but how many people can say that they reside in the Fendi Chateau or Porsche building? In the end, the agent will make more sales at a higher price point and the developer will sell out quicker as well. MA: Can you see this branded-style approach to real estate growing even further in the residential sector? How and why? RM: The fact that the buildings are selling out at record prices is an indication that this is certainly a growing trend, but these high-end consumer branded properties have a limited geographic reach. New York, Miami and LA are in a group much to themselves. A building that carries the name Armani will not have as much of an impact in Alabama as it would in Miami. MA: Recently, a Canyon Ranch-branded condo in Miami Beach had its name changed to Carillon after Canyon Ranch had a disagreement with developers. Tenants paid for the units, yes, but also the Canyon Ranch name. Do you see this falling out directing future decisions from developers about getting involved with brands? RM: Buyers at all of these buildings need to be aware of this when they are purchasing a branded condo unit. They need to do their research into the terms of the branding and/or management agreement, as well as the length and nature of the deal. Much like with franchise hotels, there is virtually no guarantee that a branded name will adorn the building indefinitely – unless it is owned and operated by the brand itself. With the change of Canyon Ranch into the Carillon, the developers assured tenants and owners that they will keep much of the same staff and will keep the amenities up to the level in which Canyon Ranch operated. As can be expected, this comes at a price. The developers do not have the ability to operate at the same level at the same price that a conglomerate like Canyon Ranch, which operates numerous locations, can. Therefore, the maintenance fees at Carillon have nearly doubled. Alternatively, brands can come as well as they can go. The One Bal Harbour property recently went though a situation where the ownership board was able to purchase enough of the common areas and remaining units to put them in charge of the building’s fate. They then solicited for branded operators – the building now carries the name Ritz Carlton Bal Harbour – and now they enjoy the brand recognition, amenities and services that come with it.